Acadian Speedometer Repair now offers Anti-Lock Brake System (ABS) Module Repair services. ABS failure is a common problem, and your module can be repaired wihtout having to replace the unit. After removing the module (not the hydralic pump, only the module), you can send it to Acadian Speedometer (and ABS system) Repair. I can repair the part within 24 hours after receiving and have it back in the mail to you by the following day. What are common signs of ABS problems? Problems with an ABS system can be the result of a variety of factors. The best way to know how to get your brake system is to call Billy Bath at (504) 913-1716 to discuss your vehicle. ** Please do not send the ABS pump portion of the the ABS system. 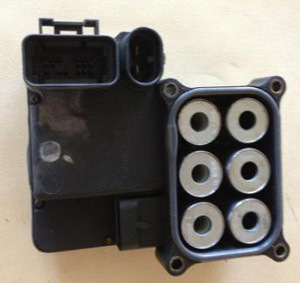 By sending only the electronic module portion of the ABS unit, you will still be able to drive your vehicle safely. After the unit is fixed, you can re-install it into your vehicle without having to bleed your brakes. ABS Module repair starts at $225. Shipping is included in the price. To order service, please use our online form.